ochs und junior offers open-ended customization of Ludwig Oechslin’s rigorously simple watches. An extremely raw and wild annual calendar was custom-manufactured for a longtime client of ours. 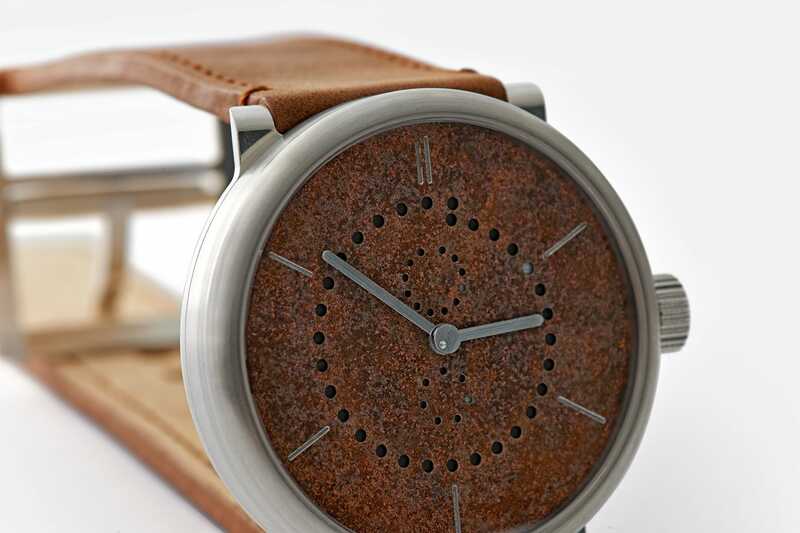 The dial and date disk are made of iron. They were allowed to rust for several weeks by Peter Cantieni in his Hinwil, Switzerland workshop before the markers and date dots were milled out to create contrast. 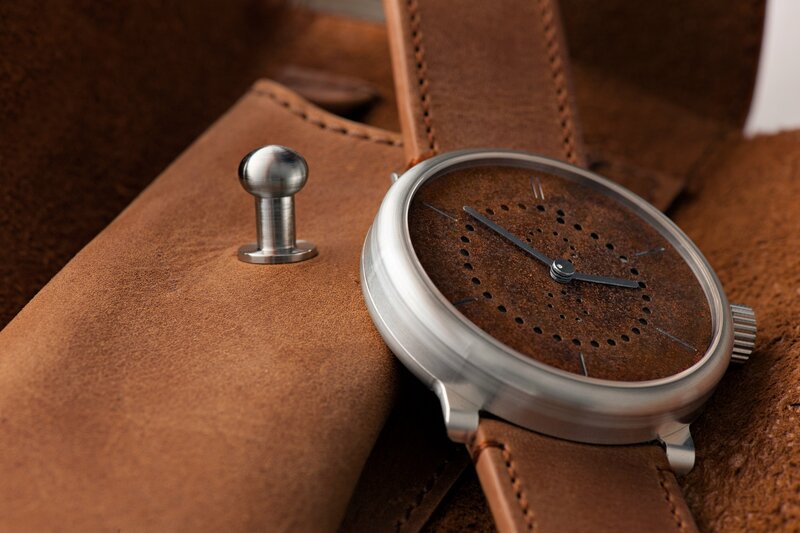 You can read the full story behind this watch in our recent press release “Open-ended customization”. 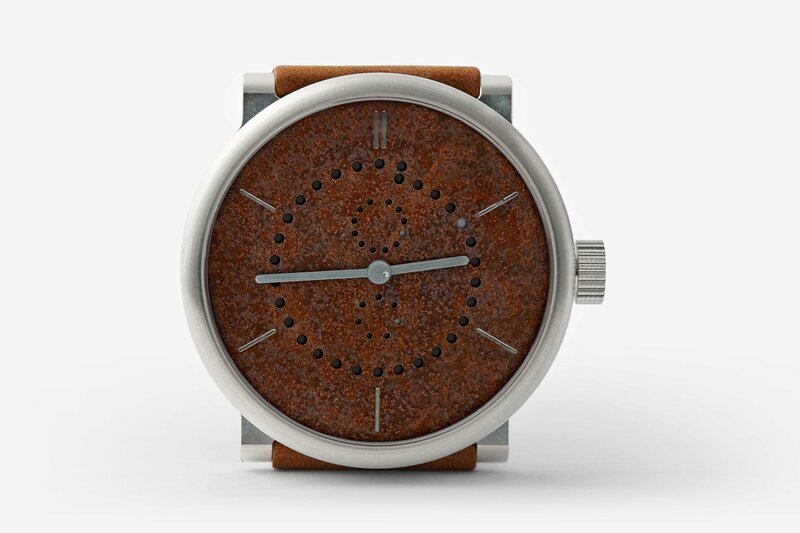 The rust annual calendar in these pictures is in a 42mm silver case. 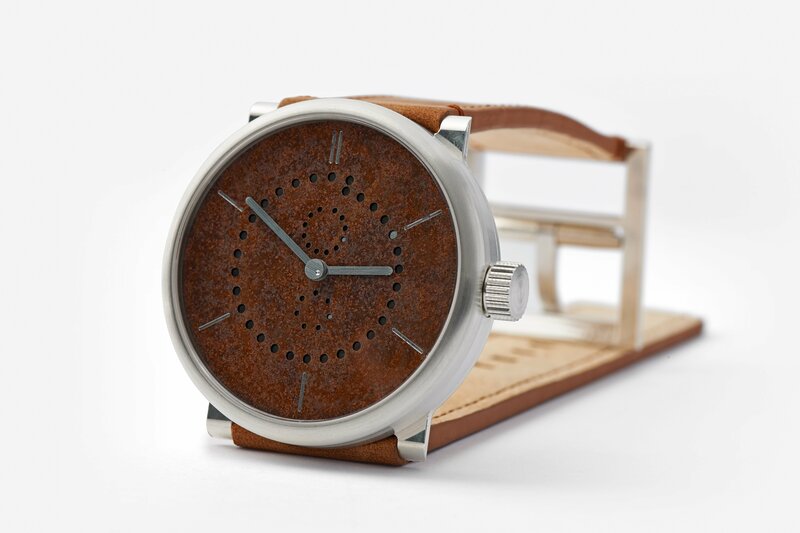 You can order yours in a silver or titanium case and in 36mm, 39mm, or 42mm sizes.